With an extra-long, 60� workout surface and heavy-duty frame, the Horizon CT12.1 is a perfect fit if you want to run faster, train harder, or just like the comfort of having more room to move. No distractions. We build powerful motors that run so quietly that you can listen to a TV or radio at normal listening levels � even when you're at full sprint. In tune with you. Careful study of biomechanics helps us create sophisticated cushioning systems that provide the right balance of firmness and shock absorption. Commercial grade motor provides power and performance of a club-quality machine for at-home use. In addition to two quality speakers, the console includes an MP3 input for playing your favorite workout music and a headphone output for privacy. 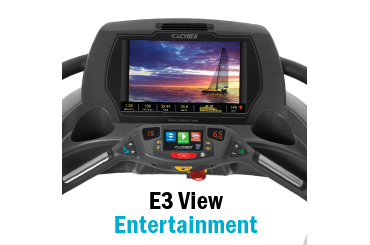 Choose from eTRAK� software + Manual, Speed Intervals, Peak Intervals, Weight Loss, Rolling Hills, Foothills, Mountain Climb, 5K, 10K, Pacer, 2 Custom Programs, THR zone or HR intervals�for a completely unique and tailored workout experience. MaxComfort� cushioning system provides softer support where you land and firmer support in the push-off zone. Large, heavy frame is stable during the most intense exercise sessions. 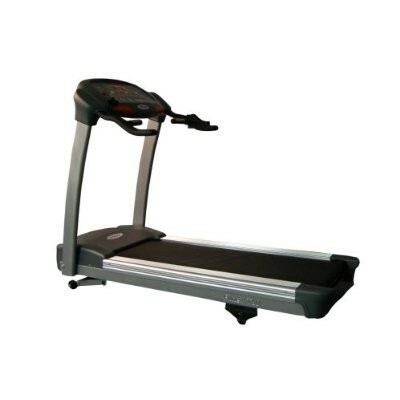 Extra-long, 20" x 60" workout surface accommodates longer strides and faster speeds. 3.0 CHP motor is powerful, quiet, and backed by a lifetime warranty. 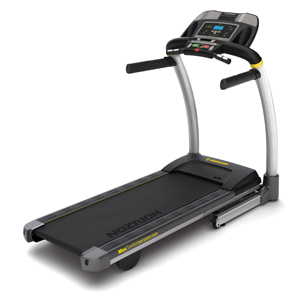 Expanded, 0 - 14% power incline range delivers better results in less time. Wireless heart rate monitoring with FREE chest strap provides the most accurate measure of how hard your body is working. 14 program options (with 2 journal profiles) give you more paths to your fitness goal and keep your workout fresh and challenging.